Two of our favourites, Amy Poehler and Netflix together at last! WINE COUNTRY streams on Netflix Friday, May 10, 2019. We know you love Noah Centineo and Camila Mendes! 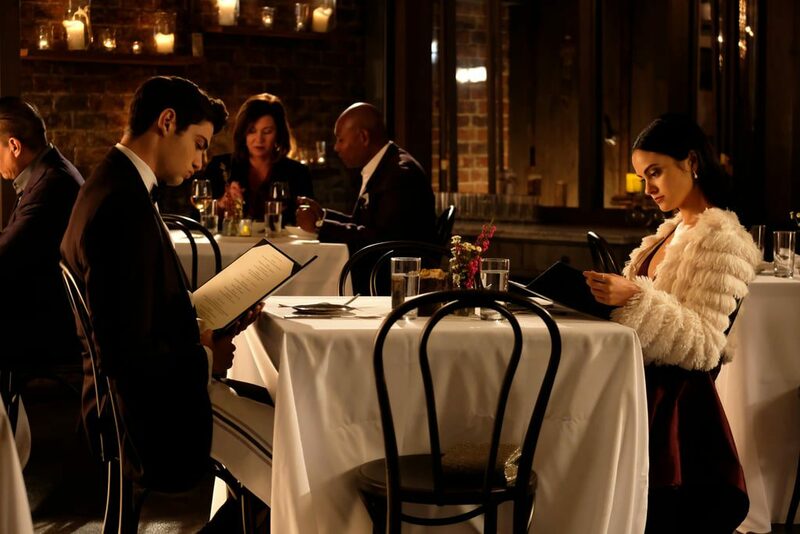 Now they’re together at last in this new Trailer for THE PERFECT DATE! THE PERFECT DATE streams on Netflix Friday, April 12, 2019. Busy, busy! 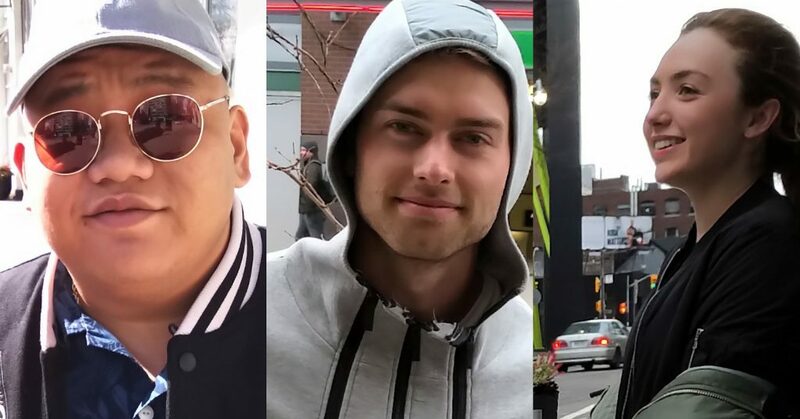 Toronto continues to be bustling with starpower as several stars continue their latest projects and some approach a wrap! Kiernan Shipka (The Chilling Adventures of Sabrina, Mad Men) had some fun at the Nickelodeon Kids’ Choice Awards this weekend, enjoying a break from the cold! She even got slimed, but she assures us it was easy to wash off! She returns to complete work on Netflix‘s LET IT SNOW. She is the sweetest! 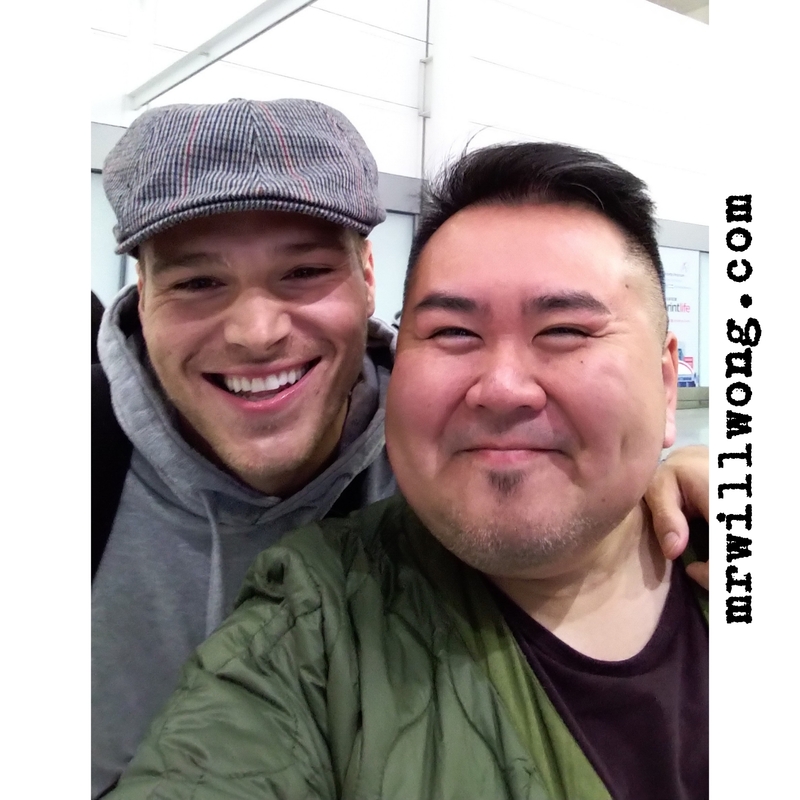 Model and Actor Matthew Noszka (Star) made his way back to the City along with Shipka too to complete work on the Holiday Feature! He equally was in great spirits too! We spotted Isabela Moner, who stars as Dora in upcoming DORA AND THE LOST CITY OF GOLD returning also from the Kids’ Choice Awards with her dog Pluto. As always she’s the sweetest. Her dog is so social and friendly, always curious when he sees other playmates! We’re curious about new Music from Moner which she has been at work on in Miami, as we love what we’ve heard on Spotify so far. And Anna Akana got lots of acclaim for her upcoming Film GO BACK TO CHINA at SXSW, the Singer and Actress also was spotted getting ready to wrap on LET IT SNOW! Netflix‘s Figure Skating Series SPINNING OUT also continues to film and we’re totally waiting for recent cast addition, the delightfully-funny Jonathan Van Ness of Queer Eye, who was added recently! We are thrilled to have spotted Sarah Wright (The House Bunny, Mad Men) around with her baby and nanny! She was everything I thought she would be! Sweetheart. Coincidentally, Glamorous singer Fergie was just in town too last week! We spotted the stunning Eva Longoria hard at work after working through the weekend on her directorial debut, GLAMOROUS. The CW Pilot stars Ben Pierce as a gender non-conforming teen who lands a job with a cosmetic company after panning their products on the Internet. Longoria was amazing as we remember her, and she expressed excitement seeing someone bring a still to sign from upcoming Dora The Explorer, in which she stars. The Film’s star Isabela Moner just was in the City filming LET IT SNOW also! More productions are taking flight in Toronto and this time around we see Eva Longoria behind the lens directing a The CW Pilot GLAMOROUS! 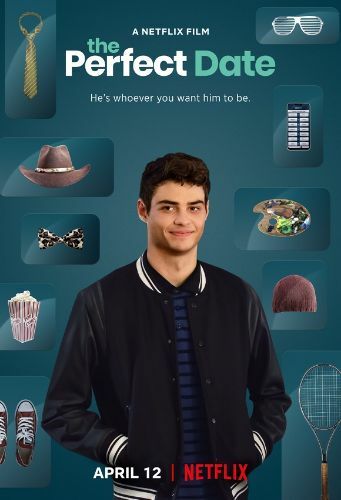 The Series starring Brooke Shields, Pierson Fodé, Peyton List and Ben J. Pierce. The Pilot centers on a gender-nonconfirming teen (Pierce) who lands a gig at a cosmetics company after criticizing their products on YouTube. 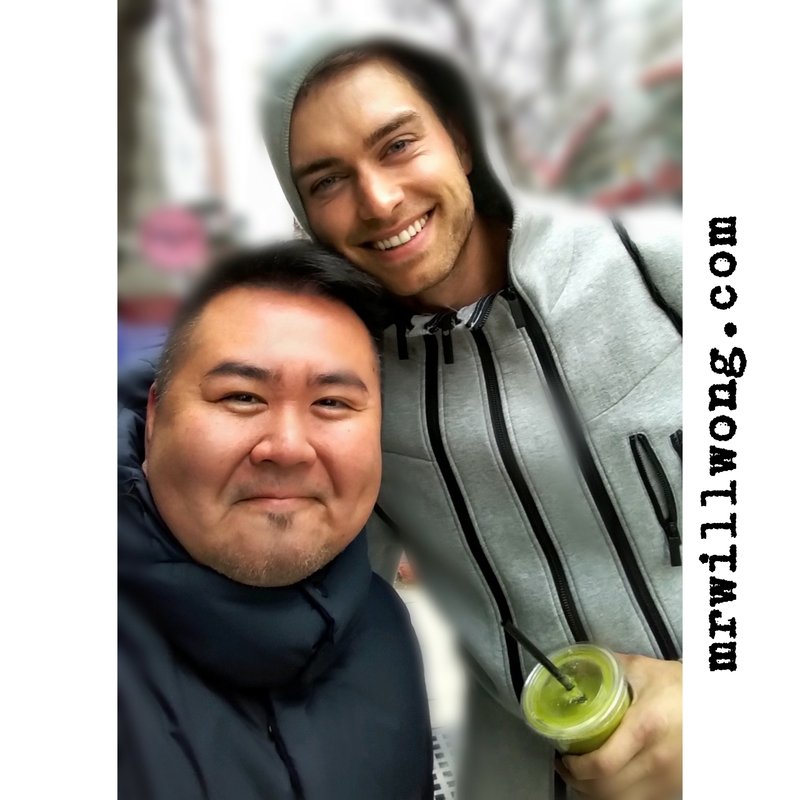 We spotted stars Fodé (Bold and the Beautiful), who has been nominated twice for an EMMY and List (Mad Men, 90210) working-out earlier after a reading in the afternoon and they were nice enough to stop for some Fans on the street. The Pilot wraps end of March. 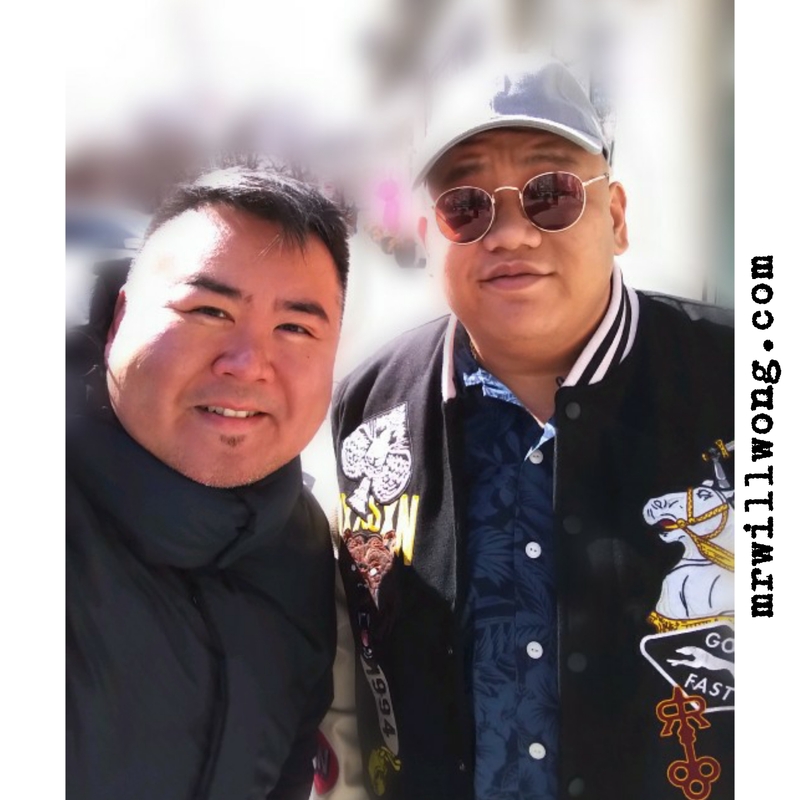 Netflix Feature LET IT SNOW continues to film in and around the City and we welcome back Spider-Man Reboot Franchise star Jacob Batalon, who appears in the upcoming Holiday flick. Batalon appears to have been out shopping for glasses earlier and was amazing to several fans who spotted him on the streets. He just filmed Romantic-Comedy EVERY DAY here in 2017. We also saw his Co-Star Miles Robbins (Blockers) out and about too and he also was gracious to stop for a wave! LET IT SNOW wraps end of March as well. 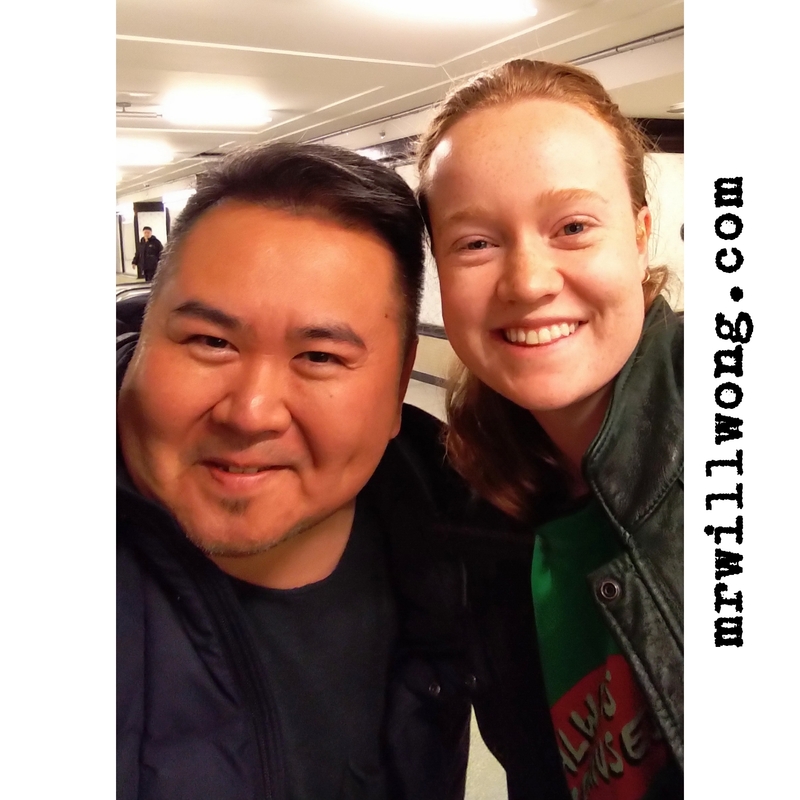 Australian talent Liv Hewson has gained a lot of recognition for their work starring on Netflix‘s Santa Clarita Diet, on which they star as Abby Hammond. Hewson also has been in and out of Toronto working on Let it Snow and just this weekend enjoyed Montreal. They also will be seen later this year in eagerly-awaited Fair and Balanced, which centers on the experience of various female FOX NEWS personnel starring Margot Robbie, Nicole Kidman and Charlize Theron. 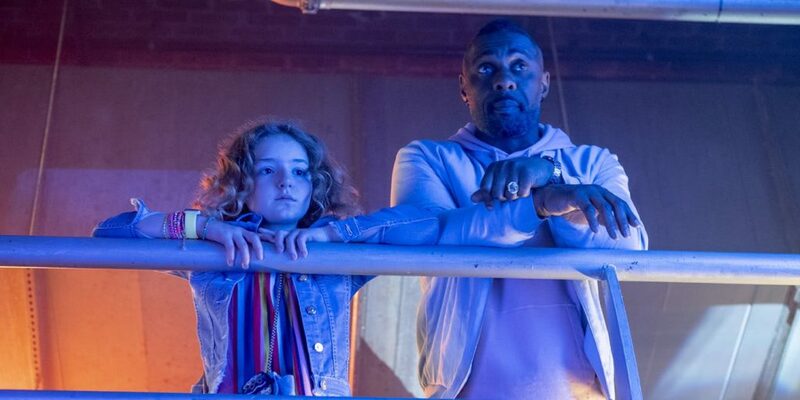 Eight episode series TURN UP CHARLIE, the passion project of People Magazine’s reigning Sexiest Man Alive, Idris Elba, is that ray of light we need amidst out winter doldrums. The American production filmed in the UK, surfaces on Netflix in March. The Comedy centers on former one hit wonder-turned-DJ, the titular Charlie (Elba), who still is figuring it out in life, sharing a living space with his aunt. Struggling to make ends meet, he encounters a change of luck when his best friend David (JJ Field) and wife Sara (Piper Perabo) return from the U.S. and entrust him as the nanny of their problematic daughter Gabrielle (Frankie Hervey). Charlie just may have find his soul mate in tough-talking Gabrielle, who inspires him with the honesty he needs to hear to get his life in order. In the meantime, we get laughs at the expense of Elba‘s self-deprecation. This is Idris Elba like you’ve never seen, getting a challenge in lighter fare, giving the real-life DJ and Musician a chance to stretch his wings in showing us a different side to his creativity. Both Charlie and Gabrielle grow in different ways from one another and to be honest, it is a quick watch making these eight episodes highly-digestible. We even foresee the series going a bit further and Perabo‘s Sara gives Turn Up Charlie a sense of familiarity that is warm. Keep your eyes peeled for some cameos including Craig David! Learn more about TURN UP CHARLIE here. It streams Friday, March 19, 2019 on Netflix. Coming this May is a four-part Mini-Series on Netflix from acclaimed Director Ava DuVernay. The series stars Emmy Award® Nominee Michael K. Williams, Academy Award® Nominee Vera Farmiga, Emmy Award® Winner John Leguizamo, Academy Award® Nominee and Emmy Award® Winner Felicity Huffman, Emmy Award® Nominee Niecy Nash, Emmy Award® Winner and two-time Golden Globe Nominee Blair Underwood, Emmy Award® and Grammy Award® Winner and Tony Award® Nominee Christopher Jackson, Joshua Jackson, Omar J. Dorsey, Adepero Oduye, Famke Janssen, Aurora Perrineau, William Sadler, Jharrel Jerome, Jovan Adepo, Aunjanue Ellis, Kylie Bunbury, Marsha Stephanie Blake, Storm Reid, Chris Chalk, Freddy Miyares, Justin Cunningham, Ethan Herisse, Caleel Harris, Marquis Rodriguez and Asante Blackk. 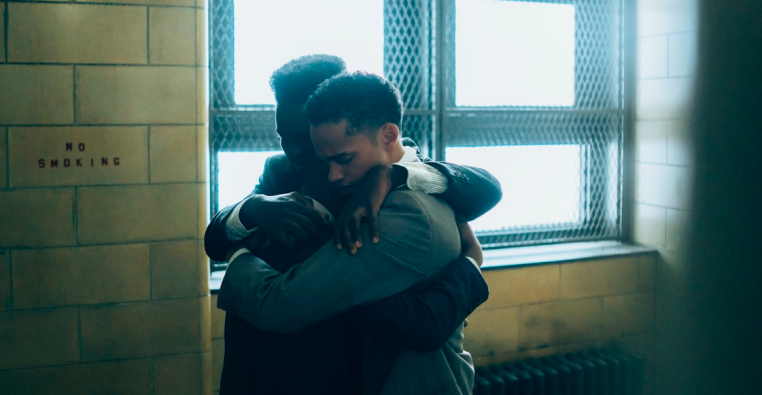 Netflix stream WHEN THEY SEE US Friday, May 31, 2019. 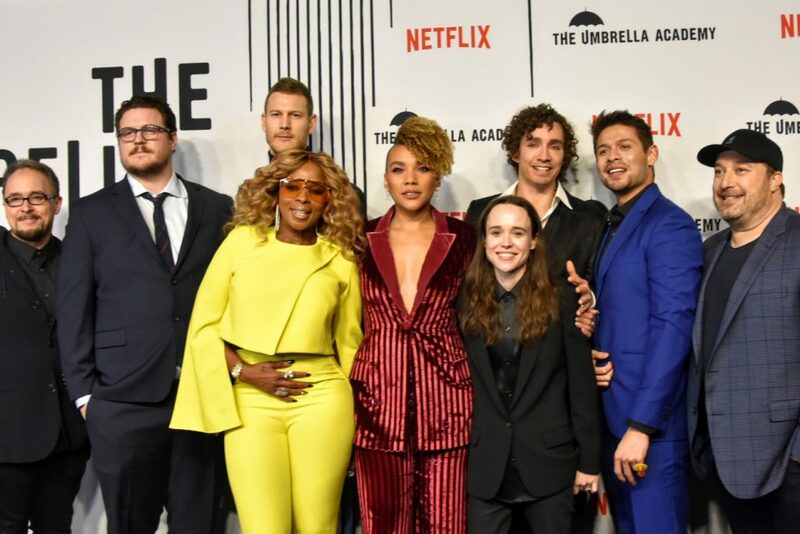 Based on My Chemical Romance Frontman Gerard Way‘s popular graphic novels, Netflix Series THE UMBRELLA ACADEMY is set to stream across the world. Filmed right here in Toronto, from Canadian Showrunner Steve Blackman and Executive Producer Jeff King, it centers on a group of six survivors of fourty three children born one day in 1989 to mothers who prior had shown no signs of pregnancy. Now adults, they must come together to solve the mystery of their father, Sir Reginald Hargreeves, who has passed. This family of superheroes must iron-out their differences in the wake of a possible apocalypse. 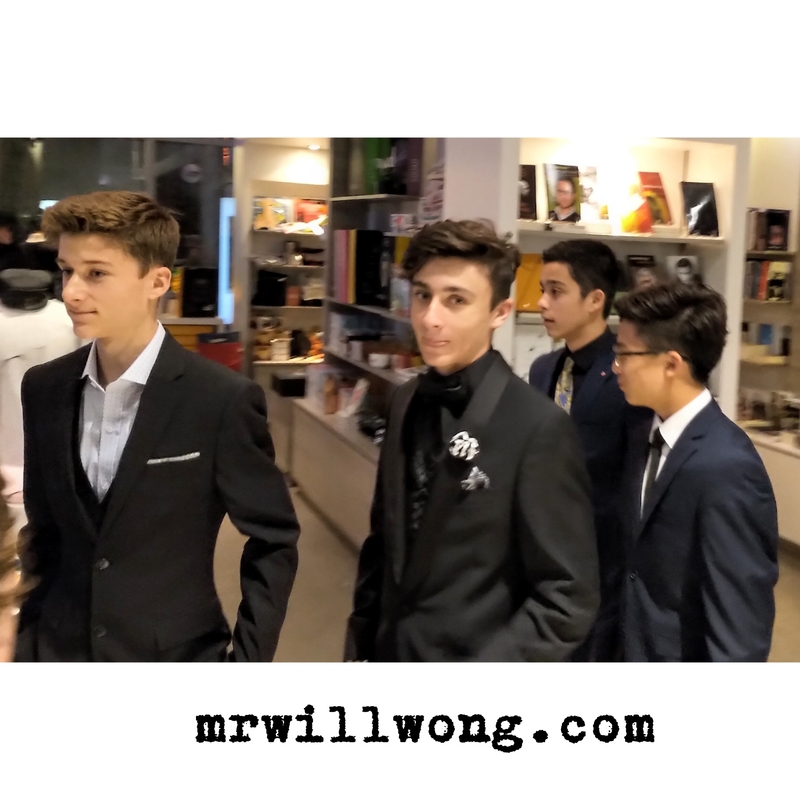 Stars of genre-bending The Umbrella Academy reunited on the festive Red Carpet tonight at TIFF Bell Lightbox in support the the Series’ launch tomorrow on the world’s leading internet television service, Netflix. 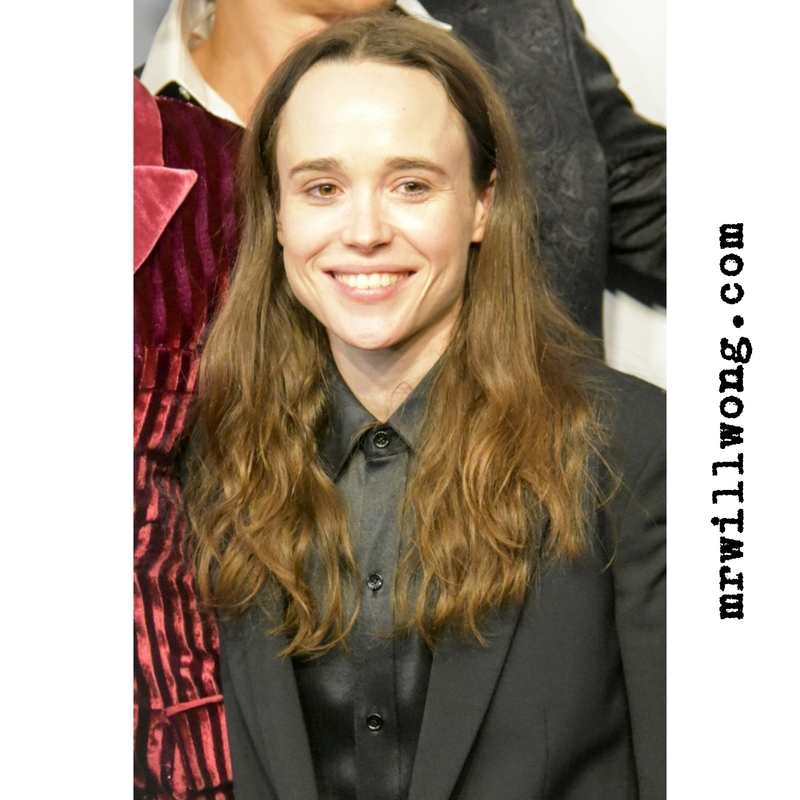 In attendance were Mary J. Blige, Cameron Britton, Colm Feore, Sheila McCarthy, Tom Hopper, Emma Raver-Lampan, Robert Sheehan, David Castañeda, several of the Show’s young stars and Ellen Page, who has made headlines much of late speaking-out for the LGBTQ Community. We had the pleasure of seeing and snapping the talent tonight on the Carpet including Sheila McCarthy, Colm Feore, Executive Producer Jeff King, Cameron Britton, Tom Hopper and Emmy Raver-Lampman. We ask the Toronto-born Actress about her character Agnes, a donut shop owner. She says, “Her glass is full to brimming, even in very violent situations, she sees the sunny side. She’s having the greatest love of her life with someone half her age, which doesn’t matter.”. 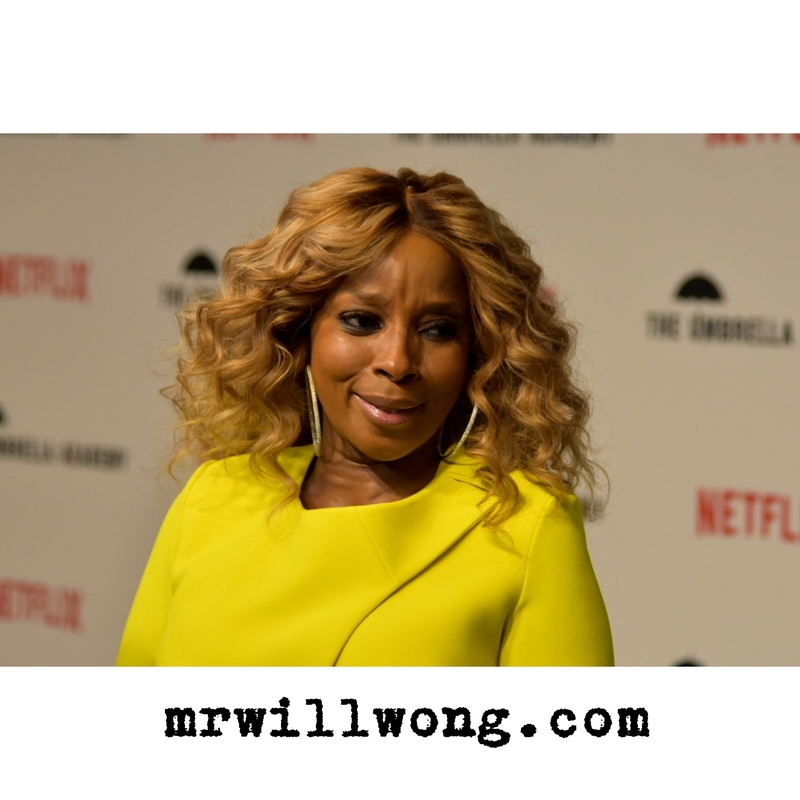 She also tells us about her favourite part of working on the Series, revealing her she won’t forget meeting two-time Oscar nominee and R&B superstar Mary J. Blige. “Two years ago if you told me that I’d be working with her, I’d go ‘What?’! She’s the sweetest, kindest person”, she states. “It’s very carefully-handpicked show and it’s not always like that. It’s a labour of love I tell ya.”. The screen and stage legend tells us what drew him most to the project and Way‘s vision. “It’s a fabulous part and vision of the part by Gerard (Way) and Steven Blackman, a brilliant Writer. He’s got a serious job creating superheroes who could save the world. He knows what end game is and the stakes are very, very high.”. The role while being a departure from some of the more charismatic roles Feore is known for in his celebrated career, but he clarifies, “For all the absence of warmth and charm, there’s a real eye-on-the-prize focus on what needs to be achieved.”. “It was awfully-fun cracking the whip on the little ones. I got to be mean to Ellen Page by proxy! I know she’s a little mad at me that I didn’t even read her book about the family, EXTRA ORDINARY, but I knew it would pay dividends in the end.”. Known for his work on Stargate SG-1, Star Trek: Deep Space Nine and White Collar, Canadian-born King feels incredible about bringing the production to and premiering it in Toronto. “This is incredible. This is hometown for me and I haven’t been here in long time to shoot. But I have to credit the Ontario government and the Government of Canada for having an incentive program that would bring studios like Universal and Netflix and encourage them to be in Toronto because it’s such a great multicultural city. 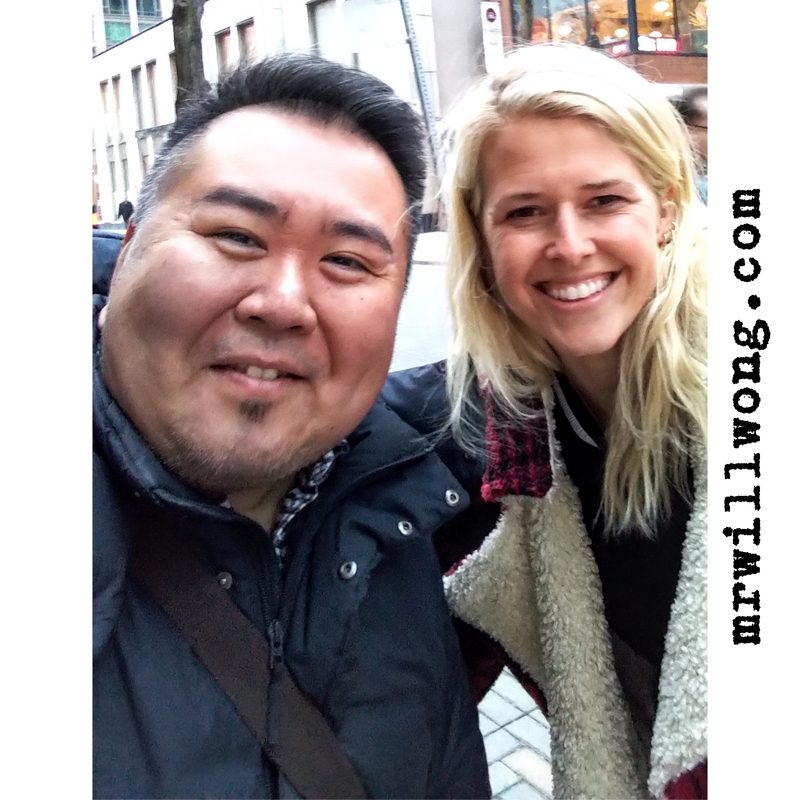 I’ve filmed in Paris, London, New York, New York and Vancouver, but Toronto is a unique mélange of all these things because of its people, architecture and proximity.”. He jokes, “Now if would just snow a little less it would be good.”. Britton who also starred in Netflix’s Mindhunter, tells us what drew him most to his role as an assassin. The Actor who is paired alongside Blige‘s Cha-Cha says, “He’s someone who doesn’t know who he is and I’ve wanted always to play someone in transition, finding out who they are. I found it really interesting that who they are in this case is a villain. It’s uncommon for villain not to know their identity.”. On his preparation process, he admits being a bit nervous. “Preparation was scary because there was too much freedom to find out who these folks were. I didn’t meet Mary till a few days before starting to shoot. That’s when the characters opened-up a lot more. The chemistry was there and sometimes you get lucky in that regard.”. 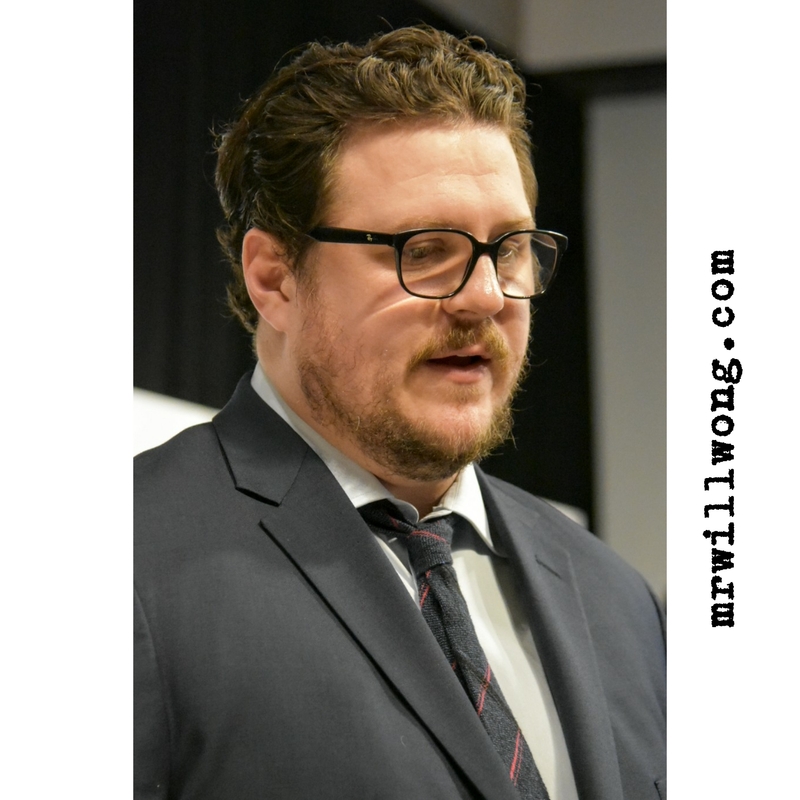 Hopper has starred on HBO‘s Game of Thrones and more recently was seen in Amy Schumer Comedy I Feel Pretty, while Raver-Lampman got a breakthrough after a turn on Broadway in Hamilton. They tell us about their love for Toronto. 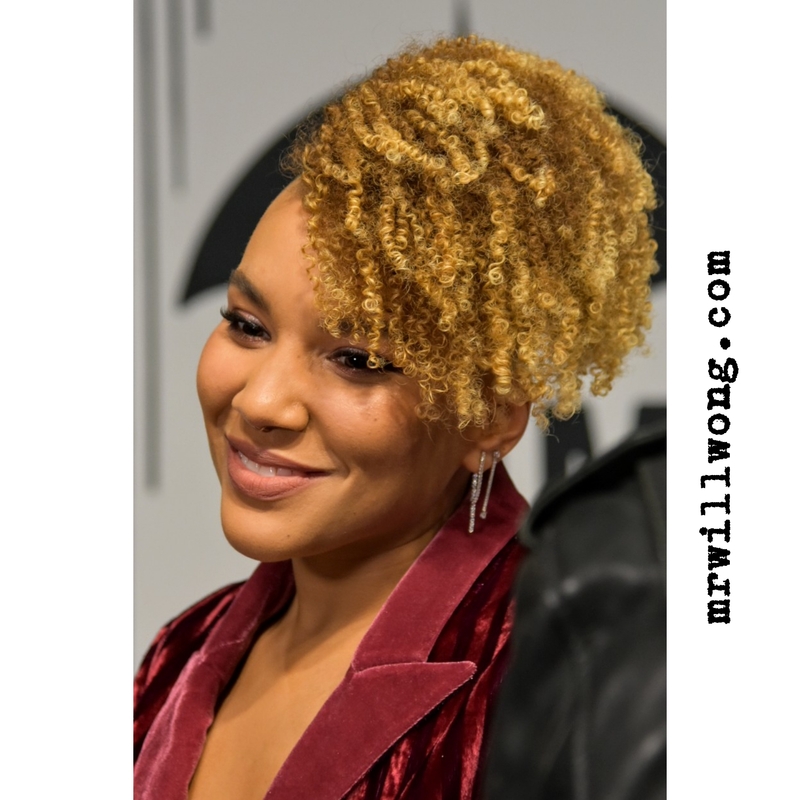 Raver-Lampman recalls, “We started filming in January and wrapped in July, so we saw all the seasons. So many TV shows and movies come through town and everyone on show was a veteran of their craft.”. “We went to music festivals, did tons of Karaoke and we loved trying different restaurants. We tried to take Toronto in as much as we could.”. Hopper states, “The amount of fun stuff we did outside of shooting was great. I had a wicked time. At the time my wife was home pregnant with my second baby. What made it a lot easier was these guys and Toronto. I needed these guys to get through this.”. Despite being siblings, the two show a great chemistry which is prevalent even in few words. We ask how they achieve this on-screen. Raver-Lampman tells us, “Right from jump, we really got along. There was no ego. We had a willingness to talk through scenes and make the best of the situation. It is because we had a friendship that existed offstage that we became close pals. I think at some point we stopped talking about scenes we had together. I think the Pilot was most we ever talked about scenes and then we would fall right into it and I started figuring out what he needs from me and vice-versa.”. Hopper adds, “I was learning who Allison was as I was learning who Luther was. I got to know her as Allison as Emmy, it’s weird. And that’s all to do with the trust Emmy that talks about.”. THE UMBRELLA ACADEMY streams on Netflix Canada Friday, February 15, 2019. All photos taken on Nikon D3400. Based on My Chemical Romance frontman Gerard Way’s Comic Book series of the same name, THE UMBRELLA ACADEMY is set to stream on Netflix this February. Way also serves on the series as Executive Producer. The first season, comprised of ten hour-long episodes brings together a quirky ensemble of talent. It centers on seven children born on the same day despite their mothers not having been pregnant, who are adopted by Sir Reginald Hargreeves (Colm Feore) an alien disguised as a billionaire. Mary J. Blige also stars as Cha-Cha, a time-travelling assassin, along with her partner Hazel, played by Cameron Britton. 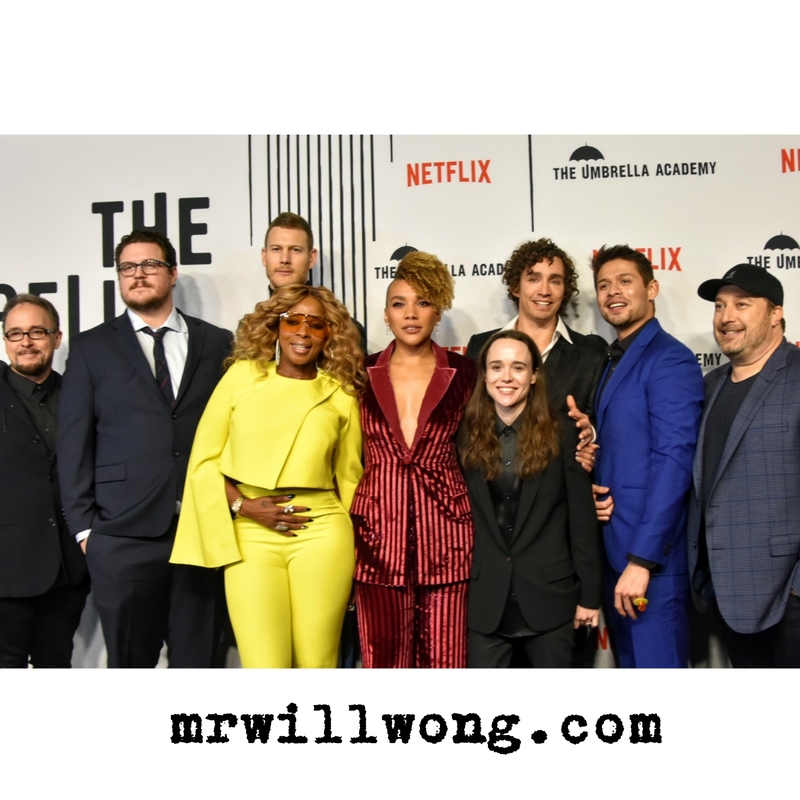 Shot right here in Toronto, The Umbrella Academy is a genre-bending mix of Action, Fantasy, Sci-Fi, Drama and Comedy, set against a late ’80s-inspired Soundtrack, the period in which the central characters were born and grew-up. While a bit of a slow-burn, as much time is spent explaining these characters’ back stories, we learn along the way what led to their dysfunction present day as siblings as they look to solve their father’s death. With Number Five travelling into the future to learn that the world will be ending in a matter of days, the siblings must come together to save the world before others threaten to off them and assassins are in hot pursuit of Number Five. The series’ aesthetic is dark and apocalyptic, set in the poorly-maintained mansion in which the siblings were raised. Fans of the Comic Book Series however surely will find plenty to connect with and rewarded as the plots thicken and the siblings are brought together in a common goal. The Umbrella Academy is a star vehicle for young Aidan Gallagher who gets a chance to shine with plentiful action sequences, possessing a maturity well beyond his years and he handles the dramatic scenes, especially with Ellen Page with prowess, being her emotional and intellectual equal. Page is fragile and vulnerable, cast well in the role of Vanya who really needs to find herself in a family of siblings whom all possess a useful skill… except her. 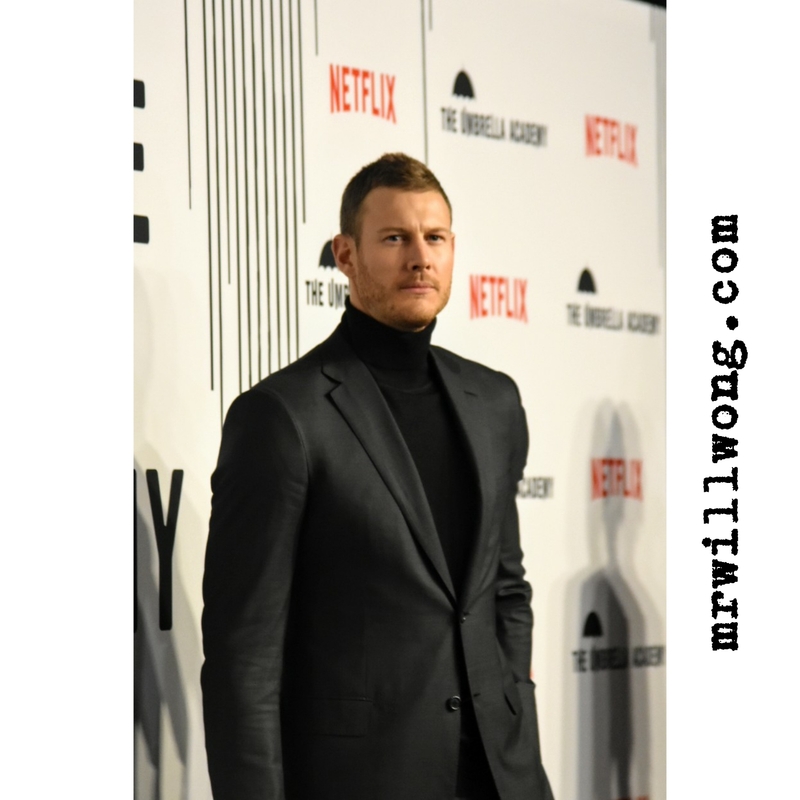 Tom Hopper as leader Luther and glamorous Emma Raver-Lampman, possess an almost-inappropriate interest in one another which translates from the source material. 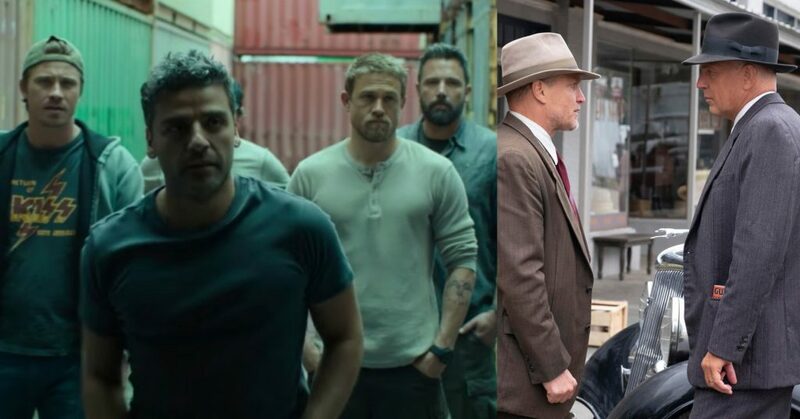 Robert Sheehan‘s Klaus and David Castañeda‘s Diego are the rebels in the family, keeping things uncomfortably dangerous. Season One of THE UMBRELLA ACADEMY streams Friday, February 15, 2019. More here.